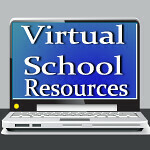 Virtual School Resources: Sponsor Spotlights! I have two sponsors to thank for offering giveaways in the Blogorama Bonanza Back2School Event! 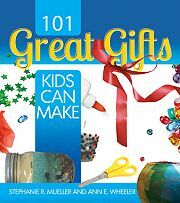 101 Great Gifts Kids Can Make! and so much more! Read my review of this awesome book! You can purchase this book through Gryphon House for $19.99, or at other book retailers. 180 Devotions for the School Year. Read my review of this great little book! I love starting the day with devotions, but sometimes it's just too time consuming. This book makes it doable, and you'll have time for discussion. You can buy this book at Amazon, Lifeway Christian Books, and other book retailers. This book retails for $7.99 on Amazon. Be sure to come back on Monday, August 20th for the Blogorama Bonanza Back2School Event where one winner will win both of these books!